Cannabis isn’t just for smoking after all. 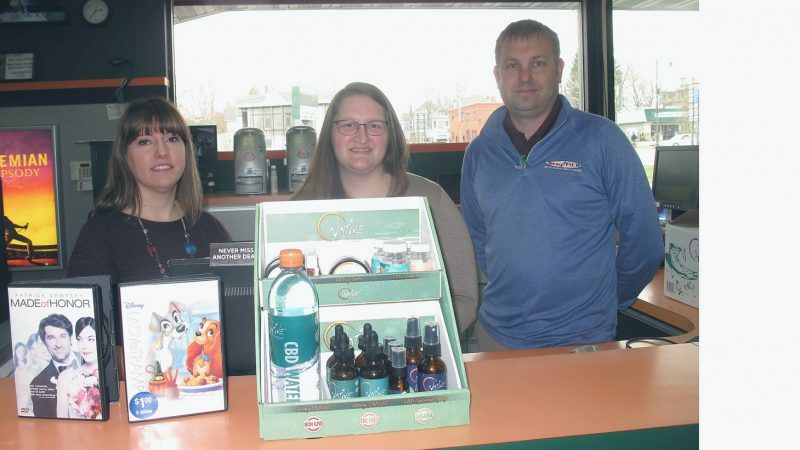 Business owners of the newly opened Releaf Market, located at 1240 E. Second St., are on a mission to let Jamestown area residents know that hemp products are a perfectly legal, safe and healthy way to provide relief for an assortment of ailments. Industrial hemp, which is sold across the country, is defined as marijuana plant material that contains smaller than a .3 percent concentration of Delta-9 THC, making it safe for consumption. Even pets are allowed to digest hemp oil products. Hemp includes everything from the planty cannabis substance, called the “flower,” to cannabidiol, more commonly known as CBD. The oil, along with others that come from cannabis, have helped thousands of people get over seizures, anxiety, and bodily aches and pains. 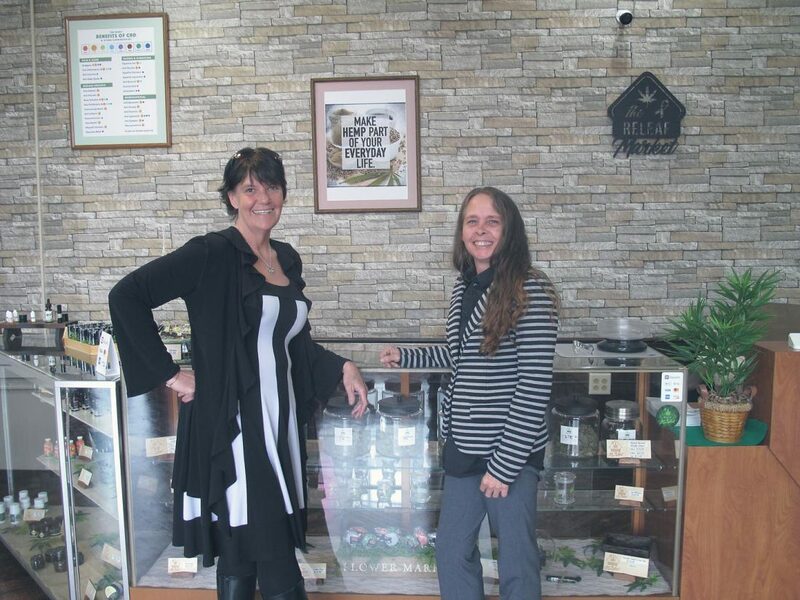 Morrison and co-owner, Kerry Trammel, want to provide awareness as well as their products, some of which they make themselves in North Carolina, so they have also set up a lounge space in their business that customers and those interested can use to read up on cannabis history, science and the legislation surrounding it. “Every other corner has a store on it,” Trammel said in reference to the saturated hemp market in North Carolina. Since Morrison’s partner, Todd Stimson, grew up in the Jamestown area they decided Chautauqua County would be a good place to start a hemp business. 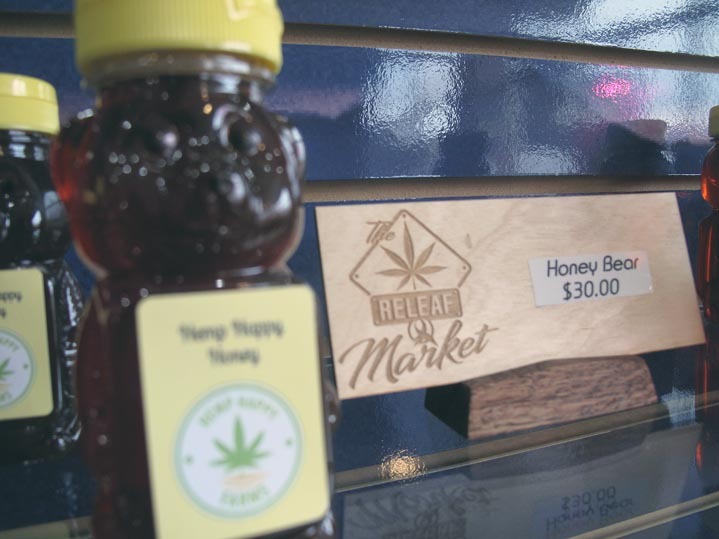 While other area stores, such as Family Video, are beginning to sell CBD, The Releaf Market provides a unique atmosphere, sleekly designed displays and a wide variety of products. Various CBD products are sold at the front counter. The “mindful” vial is advertised to help with memory recall, the “chillin'” vial is meant for relaxation and the “vexation” vial helps cure headaches. CBD products aren’t just for humans either. Dog treats, including samples, are offered at The Releaf Market, and Morrison said the oil helps calm her dog down. Lotions, soaps and bath bombs for humans assist with relaxation and can help with breathing and body aches. Honey and coffee with hemp oils are also sold, and customers can also try the hemp flower to further explore the health benefits of cannabis. As proponents for medical marijuana, the business owners want to tear down the stigmas of negativity surrounding cannabis. 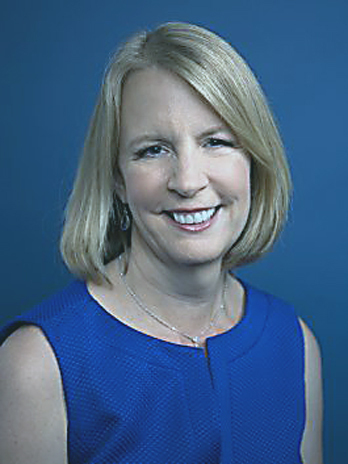 The women running The Releaf Market have both had family members who were either cured or treated of serious health conditions, including Trammel’s daughter who had ovarian cancer, via medical marijuana. The entrepreneurs also said their business model is prepared for if recreational marijuana use becomes legal in New York. If that happens, however, they said they would continue to sell traditional hemp products along with marijuana. “It’s wild to see the variety of people here,” Stimson said. Having received good reviews since the grand opening Tuesday, the business partners remarked as to how people of different ages visited the store. Morrison and Trammel said that older men and women usually shop during the day, and young adults follow suit during evenings. 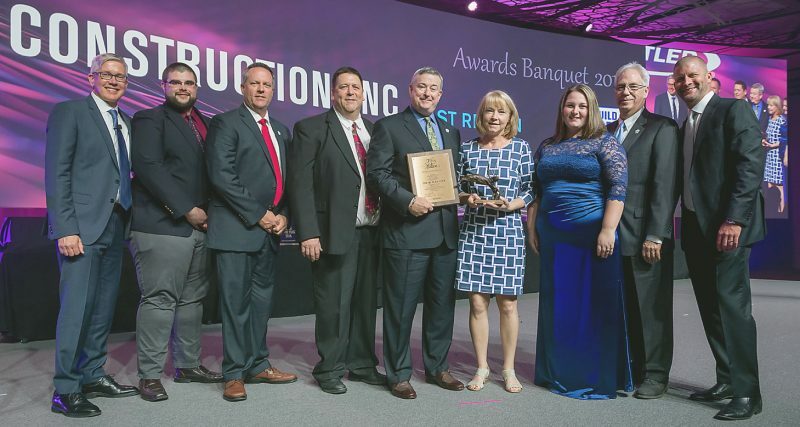 “We deliver quality products because we want people to get the full benefits,” Morrison said.